Starry Heavens is a large-scale installation that is also a political fable in the form of a game. It was originally commissioned for the sculpture garden of the Museum of Modern Art for one of their Pop Rally events. Players can enter at any time, and listen to a central Ruler who calls out BLACK, WHITE, or GRAY to tell them where they can step. Players must work with and against each other, knocking each other out of the game as they make their way to the center to replace the Ruler. Meanwhile, The Ruler slowly pulls down a central helium balloon, attempting to reach the Starry Heavens. 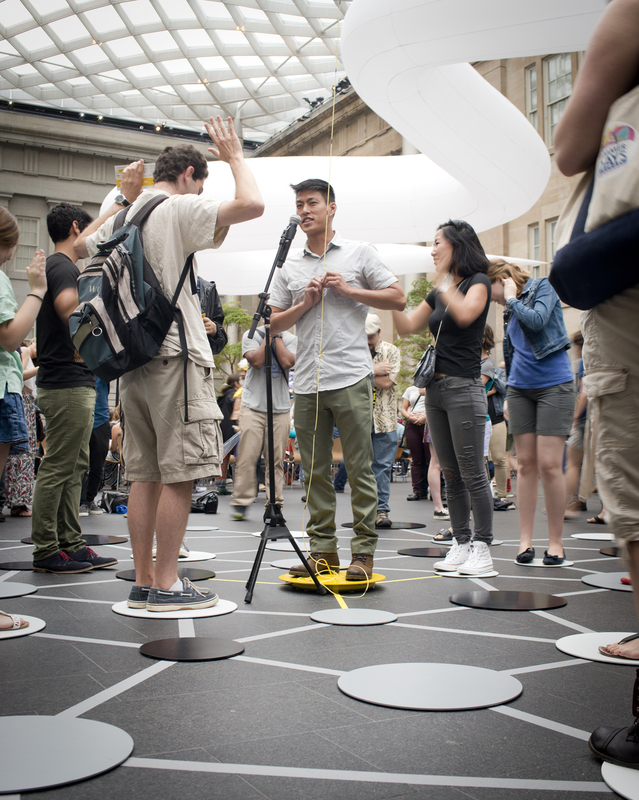 Following MoMA, we added a live performance element of improv musicians for installations of the project in Berlin, Washington DC, and Den Bosch in The Netherlands. 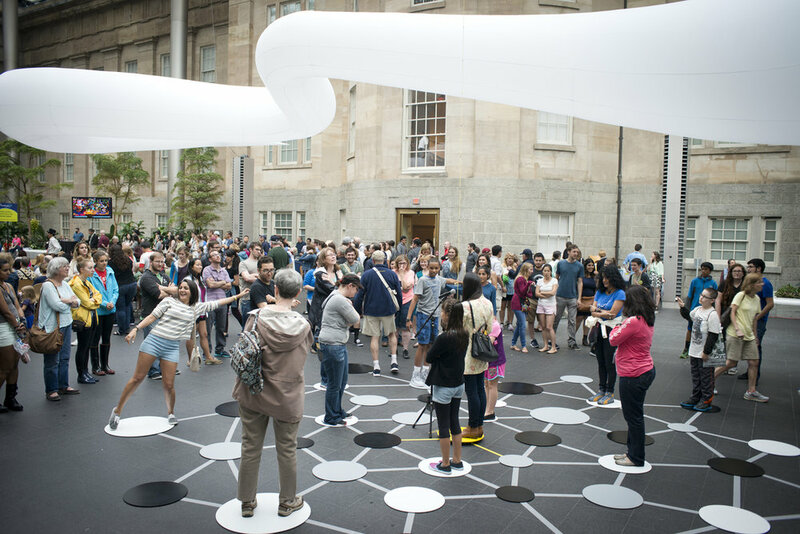 These photos are from the installation in the Kogod Courtyard of the Smithsonian American Art Museum. Special thanks to the MoMA Pop Rally Team and Kill Screen for the original commission. Also thanks to Invisible Playground and PlayPublik Berlin, the Playful Arts Festival, and the Smithsonian American Art Museum. Inflatable element fabricated by AIR Design, Amsterdam.